New Testament - First John chapter 3 verse 9 is powerful in today's readings! 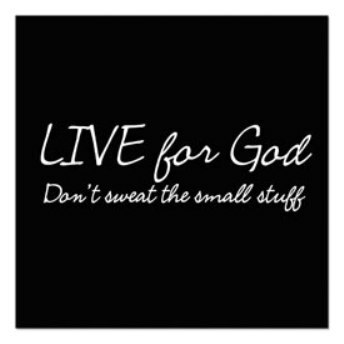 "Those who have been born into God's family do not sin, because God's life is in them. So they can't keep on sinning, because they have been born of God." Keep in mind that this does not mean that as a Christian you won't stop sinning completely and be perfect. However, you will be in the process of being sanctified and your life will be shown as someone who is compelled to do what is right, because God is in you, versus having a life that shows you are compelled to sin, if you were without God. But, this verse is still great for believers to reflect upon - we do not want to sin anymore and we're in the process of sinning less and less through sanctification - until the day we are in heaven with Christ when indeed we will never sin again. 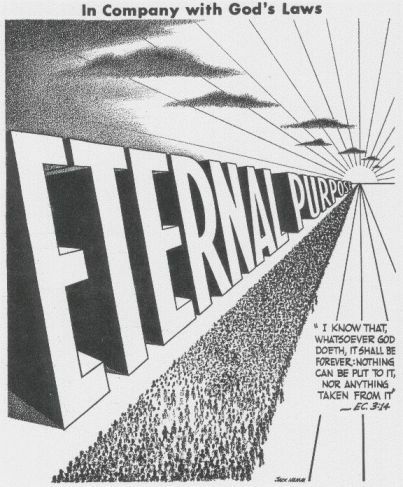 Do you realize this is your eternal purpose? Today in First John chapter 3 verse 16 we read: "We know what real love is because Christ gave up his life for us. And so we also ought to give up our lives for our Christian brothers and sisters." This is a powerful verse for us to reflect on. Jesus died on the cross for our sins. 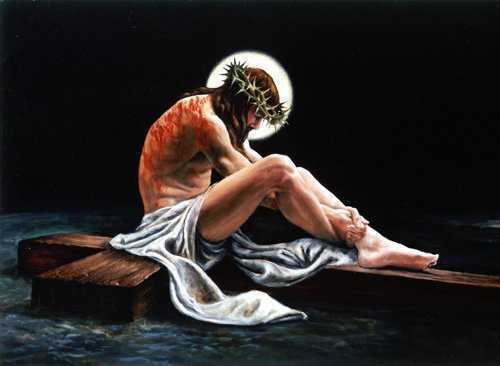 He gave up his life so that we may have eternal life with the Father through faith in him. Jesus’ giving up his life for you and me is real love. How might we be able to show real love toward others? How might we be able to give up our lives for others? Not necessarily are we being called to death on a cross - but how about a figurative death in our lives on how we invest our time, energy, & passions? Is it possible that our indulgence in luxury goods and how we waste precious time could cost the very lives of someone else in need somewhere in the world? Can we give up our "life", our luxury goods, and our wasting of time so that we can show real love for others? Will we? Will we follow Jesus in the giving up of our own life for the sake of others? Psalms - Psalm 122 is the third in this series of Psalms of pilgrimage to Jerusalem. This is a joyful Psalm today! Today in Psalm 122 verse 1 we read – “I rejoiced with those who said to me, “Let us go to the house of the Lord.”” Have you ever had this experience? Have you ever rejoiced when someone invited you to attend church? Have you ever given this experience to others? Have you said to others in your life, “Let us go to the house of the Lord!”? Do you make it a regular habit to invite people to church? Does church bring joy to you? Do you think it might then also bring joy to others? Others who are waiting for you to simply invite them? Will you? Will you rejoice with those around you through the simple & graceful act of an invitation? Are you yourself part of a church community? Are you attending church on a regular basis? Do you believe that being in community with other Christians each week will help grow your relationship with God? If you are not part of a church community, will you seek one out this upcoming week? And verse 6 is so true then as we've been reading in Daniel & Ezekiel recently - and still true now - "Pray for the peace of Jerusalem." 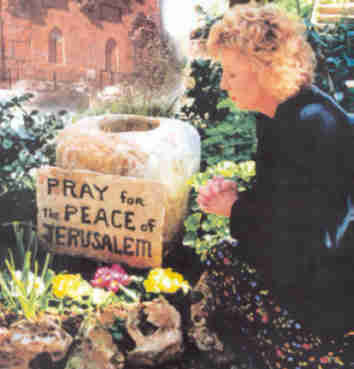 Will you join me in praying for the peace of Jerusalem? Proverbs - Proverbs 29 verse 1 teaches us today: "Whoever stubbornly refuses to accept criticism will suddenly be broken beyond repair." This Proverb has a very tangible example of stubbornness in the Old Testament through Eli's sons who died in 1 Samuel 2 verse 25 - "If a man sins against another man, God may mediate for him; but if a man sins against the LORD, who will intercede for him?" His (Eli) sons, however, did not listen to their father's rebuke, for it was the LORD's will to put them to death." Let us accept godly criticism, correction, teaching & discipline in our lives. Let us be broken before the Lord, so that we will never be broken beyond repair! YouTube - Today's readings in First John remind me of Mercy Me's song "Homesick:"
Are you Homesick? Click here for your eternal Home! Prayer Point: Pray that you are born of God. Pray that you cannot go on sinning. Pray that you love your brothers and sisters. 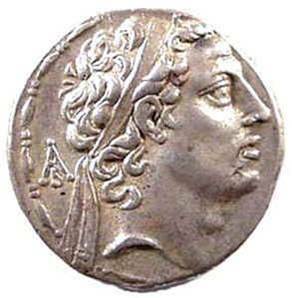 An interesting note on Daniel 11: The prophesy in this chapter is so detailed and accurate that 800 years after the Book of Daniel was written an atheistic philosopher named Porphyry declared it a forgery. He said it was actually written after these events happened by someone claiming to be Daniel. This debate continued until the Qumran papers (Dead Sea Scrolls) were discovered in 1947. Among those papers was found a whole and complete early copy of the Book of Daniel. This was the proof needed to finally put the debate at rest for it proved that Daniel was authentic and written prior to the events covered in this prophesy. It amazes me that people can read these prophecies and not accept the accuracies of all of God’s prophecies, including Jesus Christ being the Messiah.